Hey y'all and Happy Thursday! I might be super late to the game but I had to make a late night Wal-Mart run for shampoo and walked away with the most delicious Halo Top ice cream. Have y'all tried this stuff?! I got the birthday cake flavor and the whole carton is only 280 calories #guiltfree. Say what?! It's so yummy and full of protein. I'm going to be running back to the store for more of this deliciousness, especially since we are bread/flour free this month. I have been needing a delicious treat! 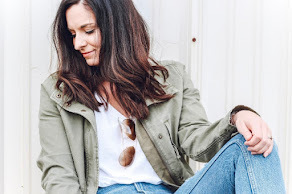 Today, I'm sharing two looks with pieces from Shop Stevie. 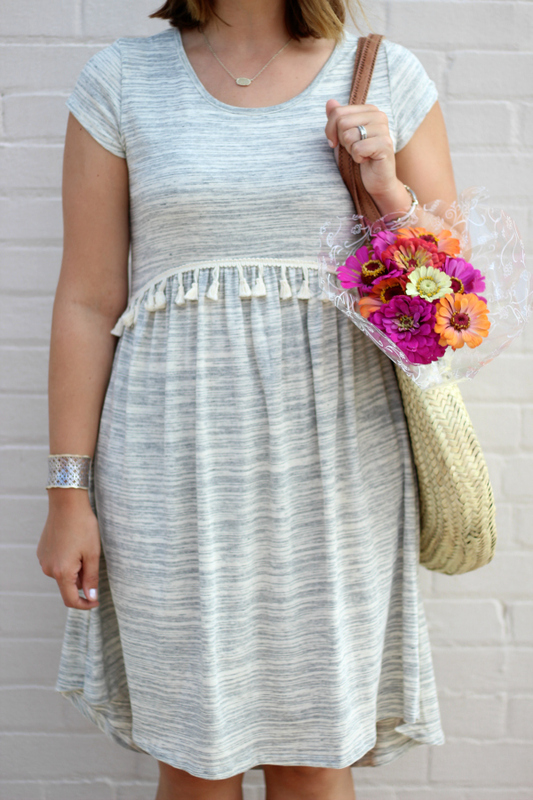 This tassel dress is just the cutest thing ever! It's totally modest and mom friendly. I styled this midi length dress with my current favorite bag, neutral wedges, and simple jewels. I'm wearing a size small in this dress and it's so comfortable! It would also transition into cooler weather with ankle booties and a cardigan. 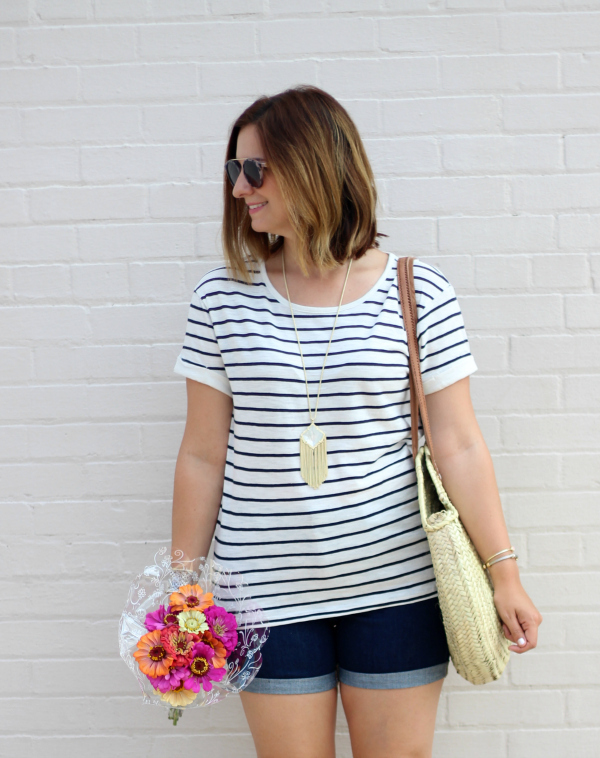 My striped tee is also from Shop Stevie and it's such a great basic top! I love the soft material and the casual fit (I'm also wearing a size small). 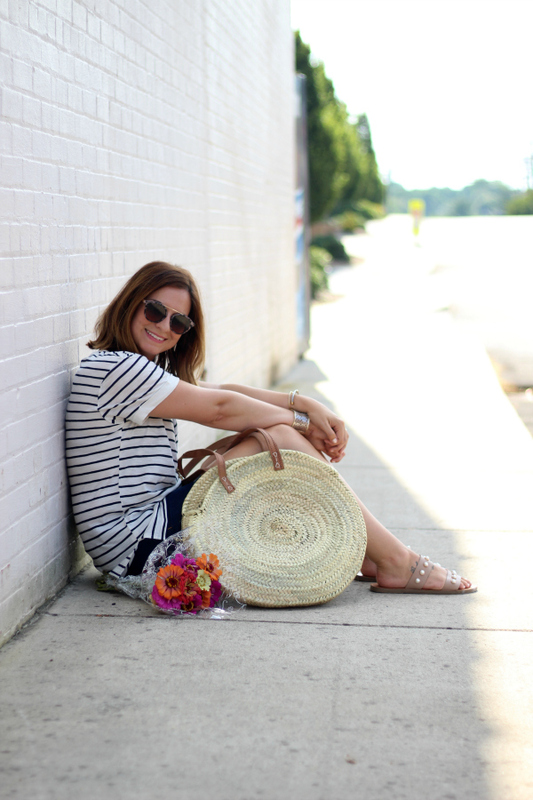 I paired this top with cuffed denim shorts and the perfect summer slide sandals. I also plan to wear this tee through fall with a utility jacket and skinny jeans. Shop Stevie has so many beautiful items to add to your wardrobe that will easily transition into fall! Amanda from Shop Stevie is offering my followers 15% off of their purchase with the code EMILY15! Sandals | Steve Madden + similar for only $25! Okay, I might need that dress! It is too cute! I've never heard of Shop Stevie! I'll have to look it up! Love all of these pieces! Especially that dress & bag! 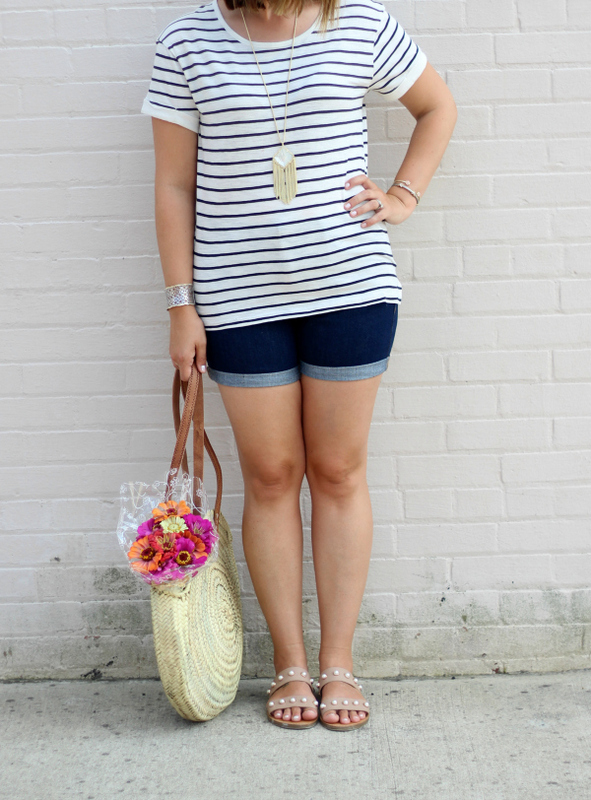 These looks are perfect for summer! Omg I love literally everything you're wearing!!! Love the Kendra Scott too! Love both looks, the tassel dress is absolutely DARLING! I am obsessed with that purse! you look so chic and pretty! Cute dress, Emily!! I recently found this ice cream called "Nada Moo" which is made from coconut cream. YUM!! The tassels on the dress add definition to the dress and I love it! 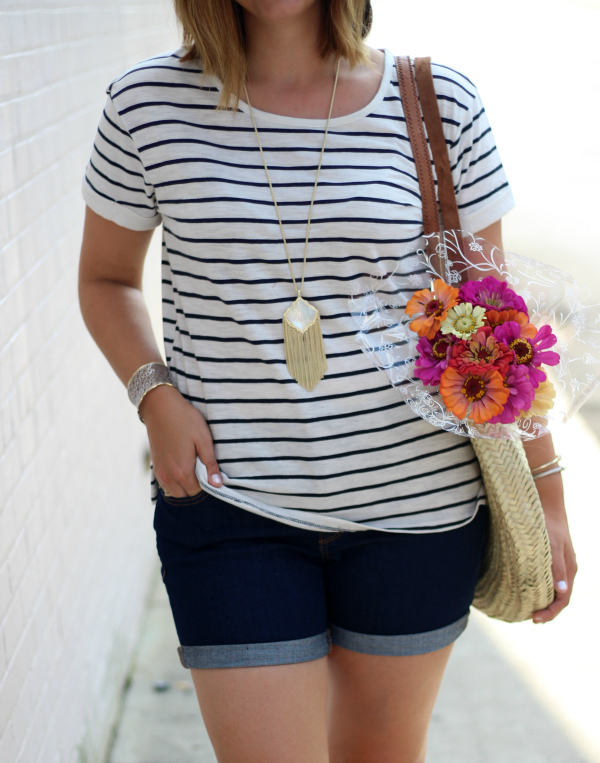 love all these looks, love the floral accent and handbag..
Hi! I was wondering what size you're in for the shop stevie pieces. I want to get a couple items but I didn't know how they're sized. Thank you!